Producer’s Picks: Jake Shimabukuro, Sasha Berliner Quintet, Emilie-Claire Barlow, Scottish National Jazz Orchestra plays Peter & the Wolf, Paa Kow, Bill Frisell Trio, Downchild Blues Band 50th Anniversary Tour featuring Dan Akroyd, Gilad Hekelsman, Scott Robinson, Tamar Korn & Kornucopia, Michael Winograd & The Honorable Mentshn, Harold Mabern, Roosevelt Collier, George Coleman Quartet, Vincent Peirani, John Pizzarelli, Thomas Backman, Enemy, Trish Clowes “My Iris,” Ozmosys, Jon Stickley Trio, Paris_Monster, Vilray, Nubya Garcia, Under One Sun, Bill Charlap, Catherine Russell, Matthew Whitaker, Gene Perla Trio, Kansas Smitty’s House Band, Allman Betts Band, Cha Wa, and Trombone Shorty & Orleans Avenue. Headliners previously announced include George Benson, Steve Gadd Band, Patti LaBelle, Jeff Goldblum & the Mildred Snitzer Orchestra, Steve Miller Band with special guest Marty Stuart, and Marc Cohn and the Blind Boys of Alabama. 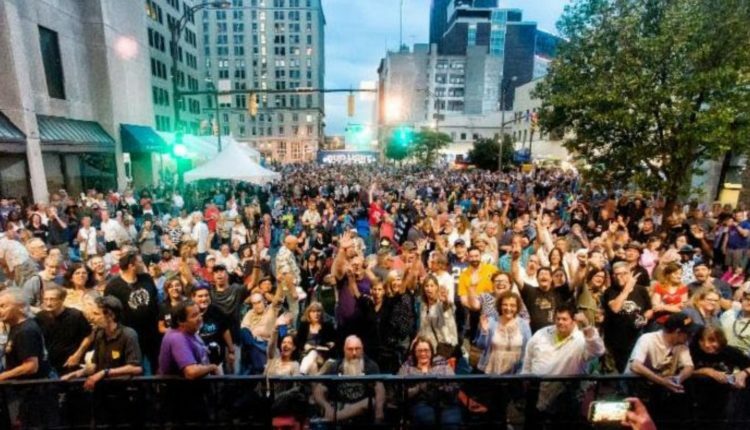 Free show headliners include Trombone Shorty & Orleans Avenue, returning to the festival for his seventh appearance, the Allman Betts Band and the Legendary Downchild Blues Band 50th Anniversary Tour featuring Dan Aykroyd. Ticket information and a complete list of performers are available on the RIJF website. You can sign up for email updates, and watch for the official festival app, which will be available for Apple and Android in April.